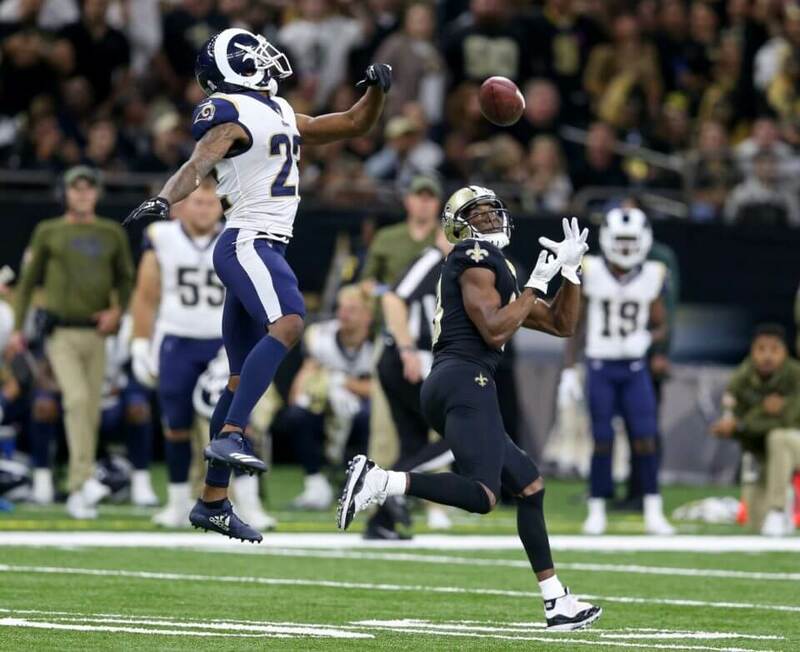 New Orleans Saints head coach Sean Payton recently threw some shade when he mentioned how much he liked the matchup of Michael Thomas and Marcus Peters. Payton’s comments were apparently well-heard by Peters. It is encouraging to see that Peters has not lost his edge amidst his recent struggles. His comments should come as no surprise since he is known for being one of the more vocal competitors in the league. Unfortunately, he is currently in a losing battle with the Saints. Thomas had a field day against the Rams. He registered a season-high 211 yards on 12 receptions and a touchdown predominately while he was covered by Peters. It became clear early on that Payton was looking to expose the matchup as often as possible and it certainly paid off. More importantly, the Saints were able to secure perhaps their most impressive victory of the 2018 NFL season. As a result, Peters can only hope for a chance at redemption in the playoffs. Regardless, it is clear that Peters has more pressing concerns at the moment. He has hardly looked the part of a two-time Pro Bowler this season. His lackluster performance has raised serious concerns regarding the state of the cornerback position in Los Angeles. Even if the Rams do meet the Saints in the playoffs, it is likely that Thomas will see much more of Aqib Talib than Peters.